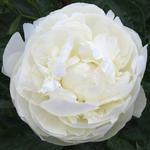 Itoh Hybrid peony flower forms are distinctly tree peony in character, also the foliage. 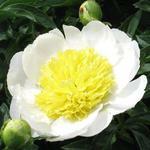 However, most of them will flower after that of the woody peonies. 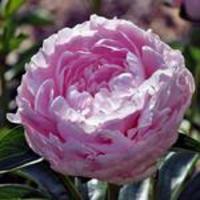 Some, especially the long-flowering Garden Treasure, continue to open buds with the latest of the commonly grown peonies here. Thus, with the addition of Itoh Hybrids in a tree peony collection, one might enjoy the tree peony flower forms nearly the entire peony flowering calendar. 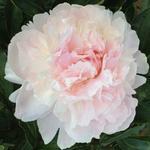 All items in this group are Best Landscaper peonies. Superb in the viewed landscape, either massed or as focal points, Itoh Hybrids renew from below ground each season and, like other herbaceous peonies, mature plants contribute the same height year after year. The best of them have great hybrid vigor, are very winter hardy and perform at their best when properly planted in deep, fertile somewhat heavy soil, that is provided with adequate moisture. Itoh Hybrids have commanded a great deal of interest among gardeners, their availability is building positively.